1.550,00 EUR 19 % VAT incl. 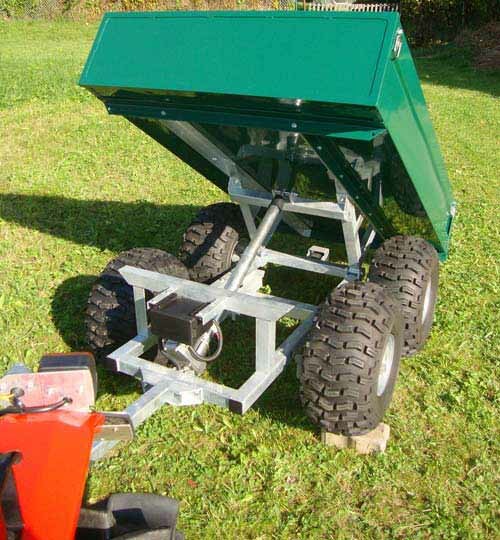 This trailer is suitable for any compact tractor with a car trailer hitch - but it is not street legal. 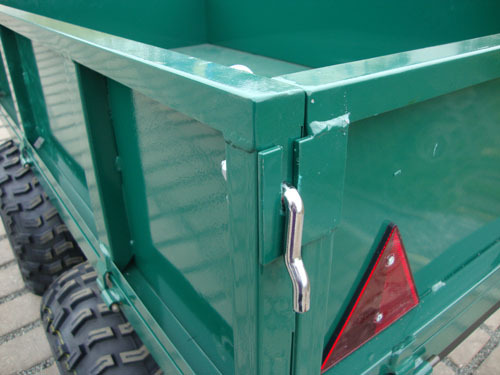 This durable tandem trailer is from United States and is sold there in large numbers. It is about 5 years on the market there - it is elaborated and debugged. 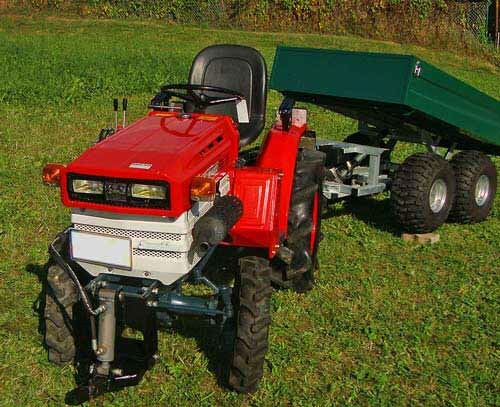 It also fits Quads / ATV / UTV. The over-sized and soil gentle tires gives the trailer a good performance in both on and off the road. A retrofitting including road approval at 25 km/h is possible for 550 Euro. The trailer has a swing axle. 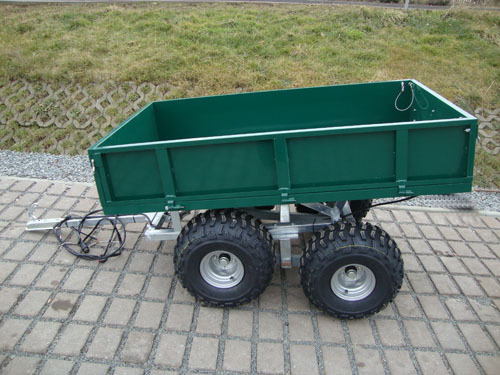 Due to the high ground clearance of 280 mm, the trailer is ideal for off-road. 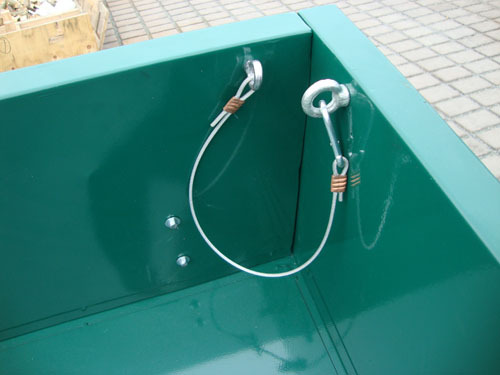 The loading platform can be tilted electrically via a 12 volt spindle drive motor. 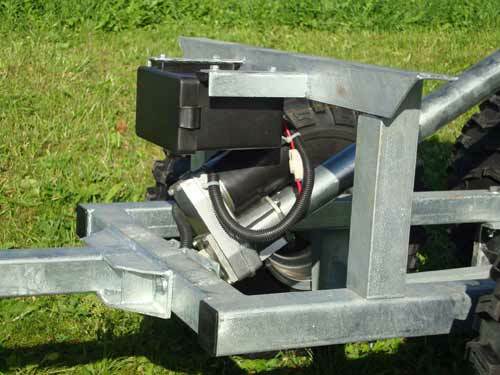 The trailer comes with a wiring harness, which must be connected with the electrical system of the tractor by a qualified electrician. 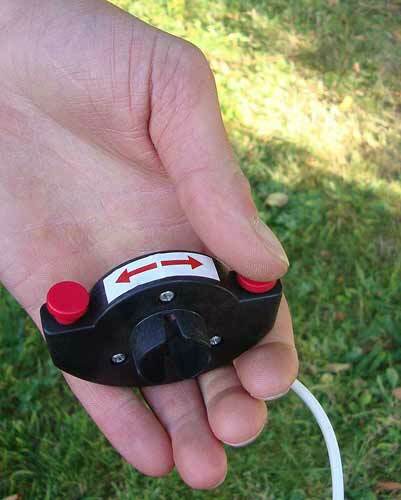 The lifting and lowering of the trailer is via a switch mounted on the front part of the tractor. but can also be easily removed if this should be necessary.